Join us on Sunday Sep 17th on a day trip to Co. Clare, to see one of Ireland's most innovative and inspiring community focused farms. And at the same time, support their current Crowdfunder campaign to buy 60 acres of land and expand their growing potential. 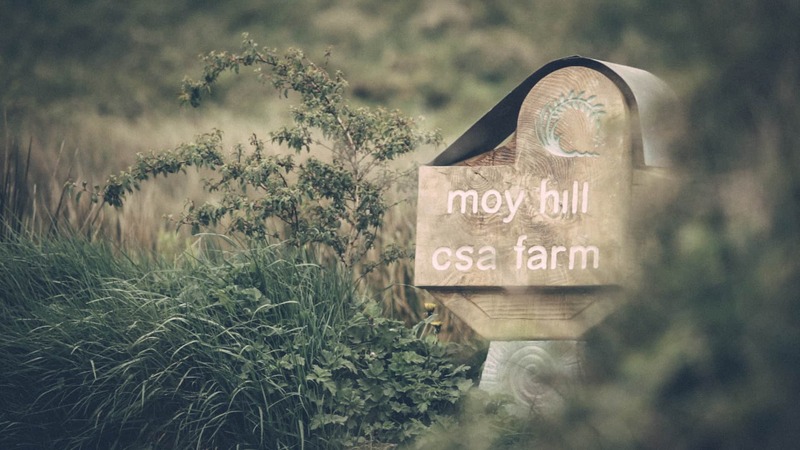 For the last two years we’ve invited Fergal, Matt, Mitch and the gang at Moyhill CSA Farm up to Dublin. This year it’s time we travelled down to them to get our hands in the earth, share conversations, ideas and a meal straight from the farm. Join us on Sunday Sep 17th on a day trip to Co. Clare, to see one of Ireland’s most innovative and inspiring community focused farms. And at the same time, support their current Crowdfunder campaign to buy 60 acres of land and expand their growing potential. €15 from every ticket purchased will go towards this fundraising campaign. 8am – we will depart Dublin from The Fumbally Cafe. 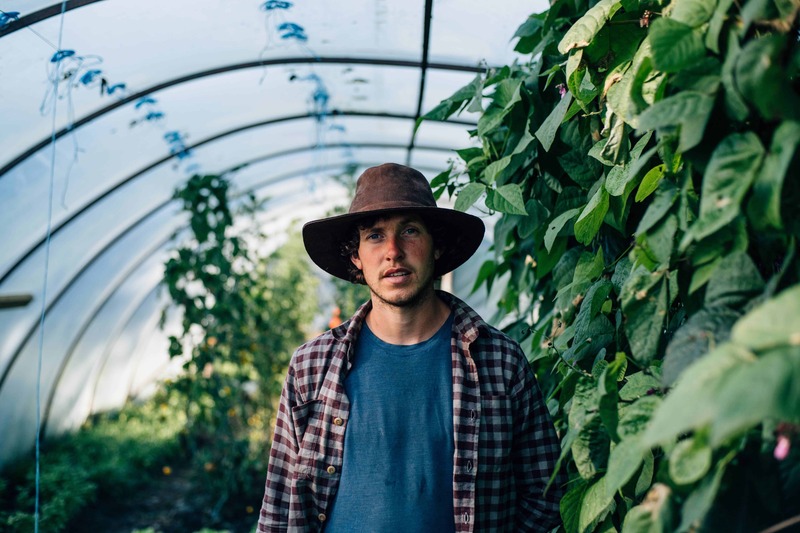 11am – arrive at the Farm where we’ll be shown around the land, they will tell us a bit about how it all came together and what is involved in running a CSA (Community Supported Agriculture). 1pm – Brian Cavanagh, who lives and cooks on the farm on a daily basis, will prepare a vegetarian lunch for everyone using the farm produce. 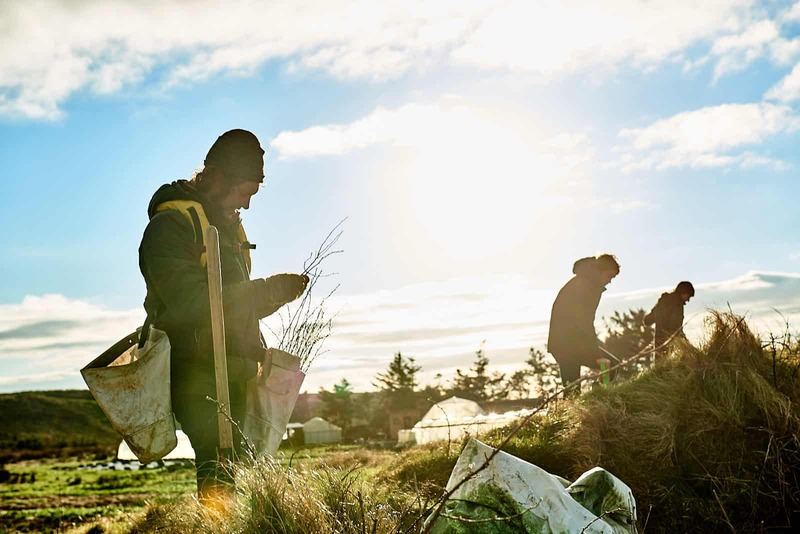 2.30pm – Conversations From The Heart a talk & discussion on community, food and sovereignty with Fergal Smith, Jason Horner and Mary Reynolds, hosted by Manchán Magan. We will depart Clare at 5pm, due to arrive back in Dublin around 8pm. 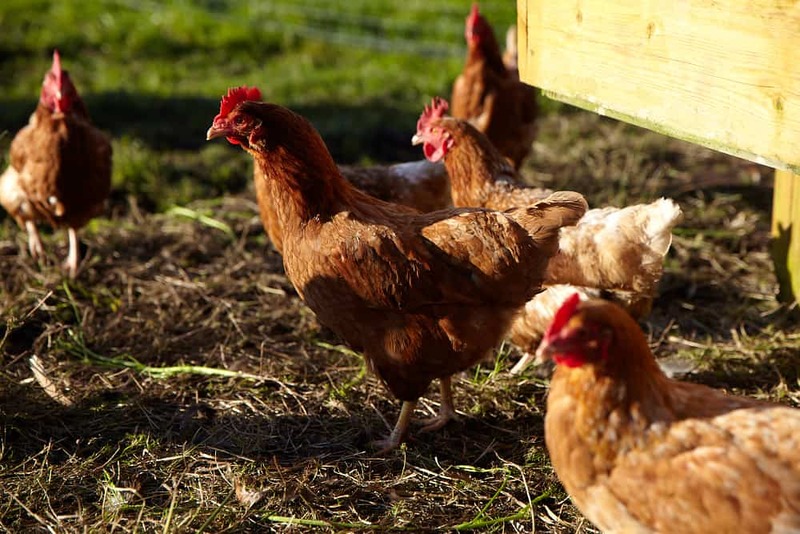 Moyhill Farm is one of those projects that stops you in your tracks and forces you to open your eyes, ears and heart and think about how we are living. 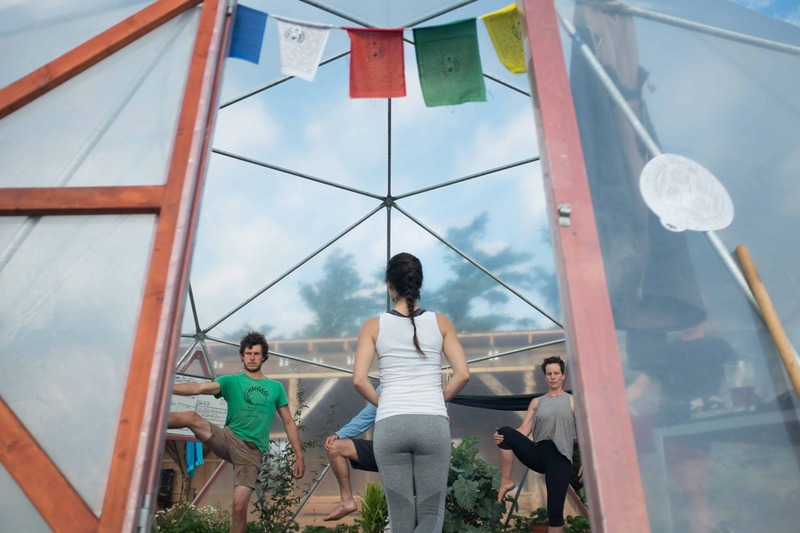 A group of freethinkers who have taken life and land into their own hands, transforming impassable scrub and bog into lush nutrient-rich fertile growing spaces. 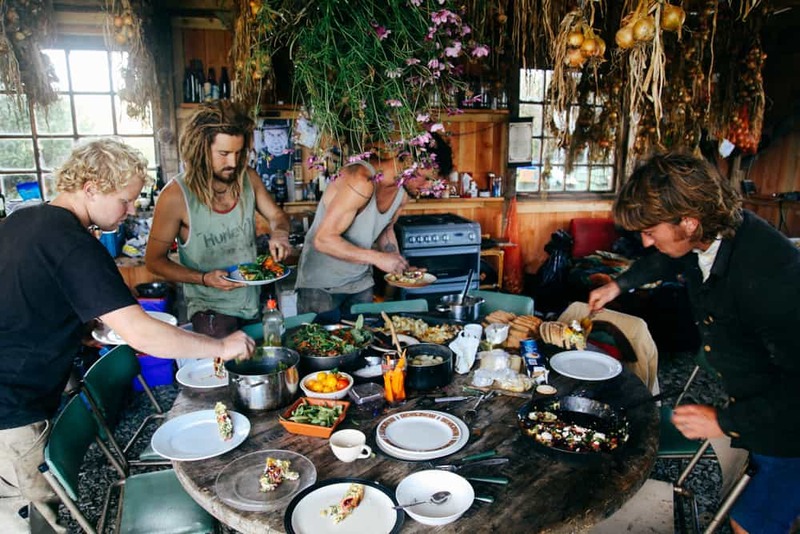 From pro surfers to farmers they have built a community and a new life for themselves and have ambitious plans to further engage with how we are feeding and supporting ourselves in our communities today. *The price of your ticket goes towards travel and food expenses and a portion of each ticket will go directly to funding the Moyhill crowdfunding project. Moyhill do not charge into their farm, so if you are in the Clare area and want to visit at any other time of the year, please see their website for details.